Inkfish: Shine for the Camera! Images of the earth at night may strike you as beautiful (if you're someone with a penchant for satellite photos) or distressing (if you're concerned about the effect of light pollution on migrating animals and/or you're a sea turtle). Some economists look at these photos and see tools for gathering data about other countries. 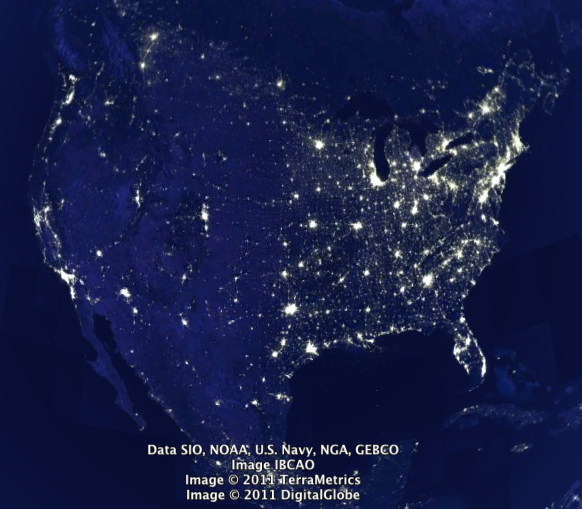 Previous research has found that luminosity--how much light a geographic area gives off at night--is a kind of shorthand for that area's economic productivity. 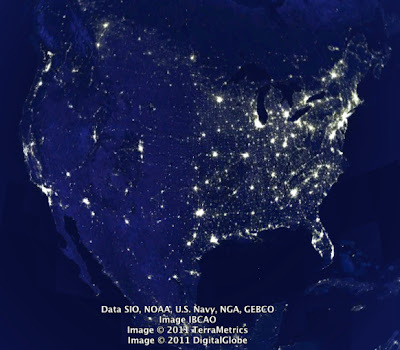 Countries with a higher GDP (gross domestic product) have more stores that stay open at night, more cars on the road, and more electric lights guiding their citizens. More light means more business. The researchers used satellite images taken between 1992 and 2008. One benefit of these data is that they consist of very high-resolution images, even though the satellites that took the pictures were actually studying cloud cover. Looking both at entire countries and at smaller regions within countries, the authors created detailed measurements of luminosity and compared them to economic data. They found that looking at nighttime lights was, in fact, useful--under certain circumstances. For countries that already provide plenty of economic data, luminosity doesn't add much to our understanding. 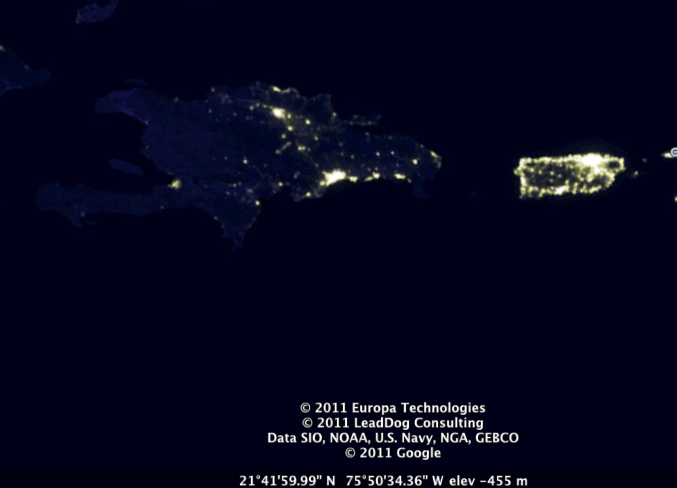 And for countries with extremely low luminosity, there's not enough data to go on. But in general, for countries that don't share much information with us, nighttime lights can serve as a consistent proxy for economic productivity. 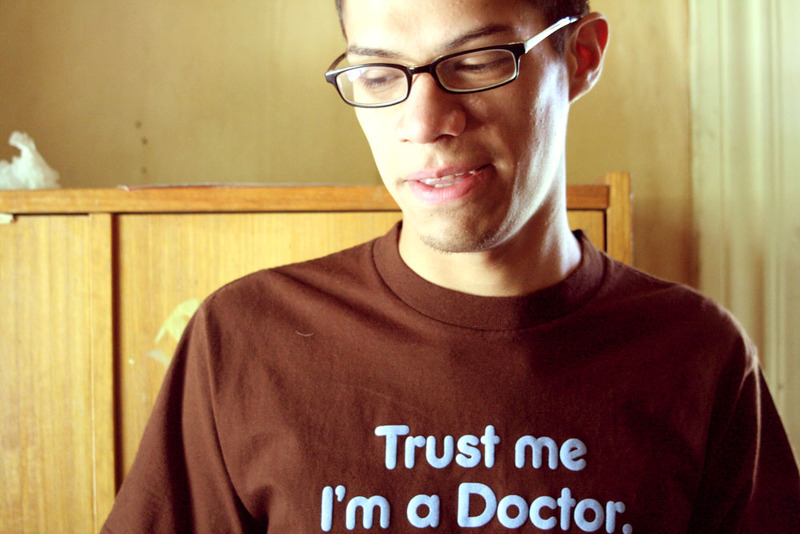 The study is a neat example of how much can be learned just by looking. It also demonstrates how resourceful researchers can use already-existing data sets to generate new information. When economists can use pictures from a cloud-measuring satellite to gather GDP data about other countries--instead of starting a new research project--it means we can save a bit of our own GDP for something else. UPDATE: In the comments, Shelby asked about those swirling lights between Korea and Japan. They didn't seem to be related to shipping, since the lights don't follow direct paths. I took a quick spin around the globe on Google Earth and didn't find the same light patterns anywhere else. But an internet search turned up the answer: squid fishing (the link is a PDF), which is an especially large industry in Japan. Fishermen work at night and use powerful lights to attract the squid. It all comes back to inkfish! 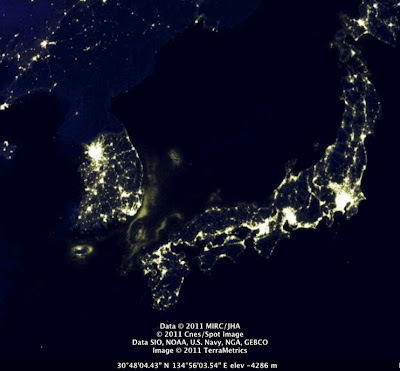 It looks like the sea between Korea and Japan is glowing. Is it phospholuminescence? Boats? Reflections? It's beautiful! 2. The light seems to be a reflection of the spotlights used on the boats. 3. No phospholuminescence, but half a point for sea creatures! Too bad the sea creatures are swimming to their demise. Turn away from the light, little squids! !